Her Excellency, Chief Mrs Amina Titi Atiku Abubakar, the wife of the former Vice President of Nigeria was born in Lagos on 6th June 1950. She had a primary education in Lagos and her secondary education at St Marys Catholic Grammar School Iwo in Osun State. She obtained her HND in Catering and Hotel Management from the famous Kaduna Polytechnic in 1983. Because of her exceptional performance she was offered automatic employment, as a lecturer in the same institution where she taught for ten years. 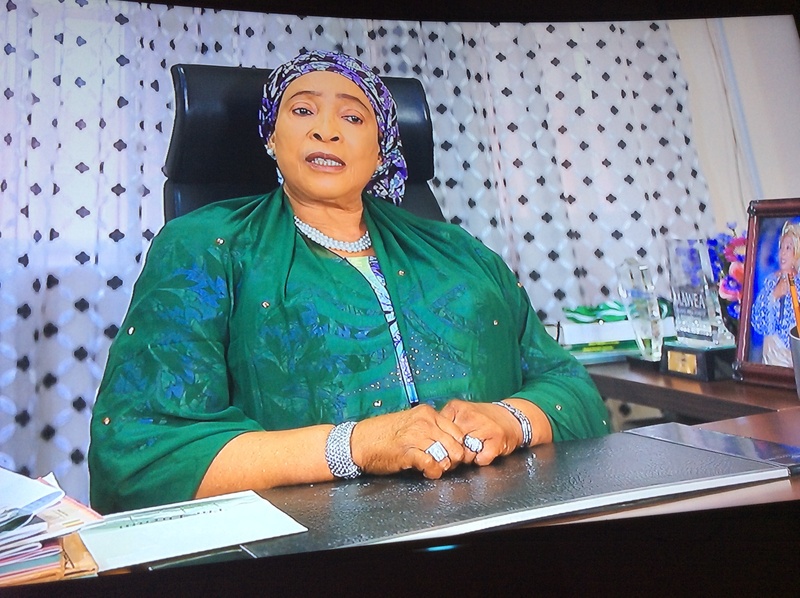 Chief Mrs Amina Titi Atiku Abubakar holds a Post Graduate Diploma in Business Administration and a Masters Degree in Business Administration both from the University of Abuja. Her Excellency, Chief Mrs Amina Titi Atiku Abubakar undertook a specialist course in Hotel Management at the Scuola International de Science Turistiche Roma, Italy under the auspices of the World Tourism Organization and the Italian Ministry of Foreign Affairs. It was while she was in Italy that she came across women, especially Nigerian women, in their prime abusing their bodies through prostitution. At first, she thought that these were some wayward women giving Nigeria a bad image. On enquiry however, she learnt that the women were deceived and brought to Italy by some unscrupulous men and women and forced into prostitution. While agonizing over the plight of these women, God gave her a vision that she would one day be in a position to help such women and others at risk. The opportunity presented itself in 1999 when her husband became the Vice President of Nigeria. She remembered her vision and established the Women Trafficking and Child Labour Eradication Foundation (WOTCLEF) as a not-for-profit, non governmental organization registered under Nigerian law with the Corporate Affairs Commission. She used the WOTCLEF platform to sensitize Nigerians on the detrimental effects of human trafficking not only on its victims but on the image and security of Nigeria as a country. Through WOTCLEF, several thousands of trafficked women and children and others in situations of abuse and exploitation have been rescued, rehabilitated and reintegrated into their communities. She has also continued to provide educational sponsorship to many vulnerable and indigent children in primary, secondary and tertiary institution. A significant milestone in the work of WOTCLEF was enacted of the Trafficking in Persons (Prohibition) Law Enforcement and Administration Act 2003 and the subsequent establishment of the National Agency for the Prohibition of Traffick in Persons and Other Related Matters (NAPTIP) which has today become a model anti-trafficking agency in Africa. Chief Mrs Amina Titi Atiku Abubakar is a recipient of numerous awards and titles. In 2003, the United Nations Childrens Fund (UNICEF) appointed her as a partner in the crusade against child illiteracy. Other honours include: Paul Harris Fellow of the Rotary International; Merit Award from the International Federation of Women Lawyers (FIDA) and the Woman of Excellence Award 2003 from Dublin, the Republic of Ireland. In the year 2002, she was honoured with the Nigerian Woman of the year awarded by Dame International. She as also crowned queen of the Nigerian Youths in 2004 by the Patriotic Youths of Nigeria  a group of young Nigerian Professionals. She was awarded the First Lifetime Award 2010 by a German based organization, the Great Africa Network for Women in recognition of her work in promoting the dignity of trafficked women and children. The All African Students Union has also recognized Chief Mrs Amina Titi Atiku Abubakar with the 2010 Kwame Nkrumah Leadership Award. In appreciation for her pioneering efforts in the fight against human trafficking in Nigeria especially in the sponsorship of the bill that established NAPTIP, Chief Mrs Amina Titi Atiku Abubakar was honoured with an award by NAPTIP in 2009. Unlike numerous other pet projects of wives of political holders which fizzle out when their husbands leave office, Chief Mrs Amina Titi Atiku Abubakar has kept her vision and passion for the less privileged alive. WOTCLEF has remained functional and continues to offer assistance to trafficked women, children and others at risk of being trafficked, abused and exploited. WOTCLEF rehabilitation centre for trafficked and vulnerable women and children is one of the few centres run by non-governmental organizations in Nigeria.